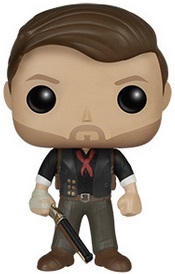 Still one of the most critically acclaimed video game releases of the past decade, 2015 Funko Pop BioShock includes several vinyl figures for the popular BioShock game series. 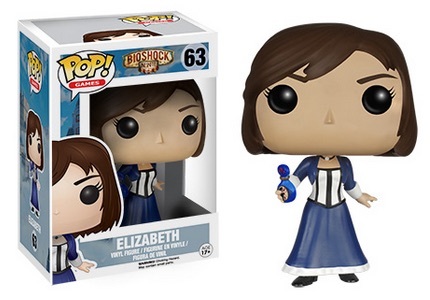 However, the set largely centers on BioShock Infinite, the third game in the franchise. 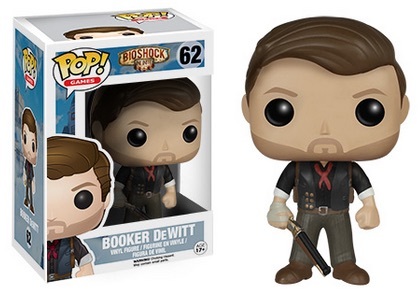 The main protagonist, Booker DeWitt has two figures in Funko Pop BioShock. 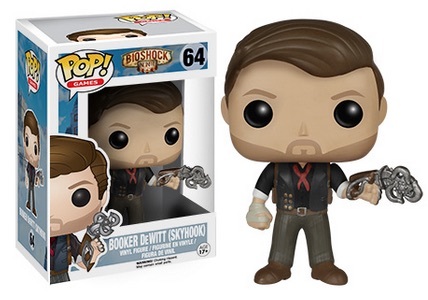 In the regular version, DeWitt brandishes a shotgun, while the other figure includes the Sky-Hook. He is joined by Elizabeth, the character he is tasked with rescuing in the game. 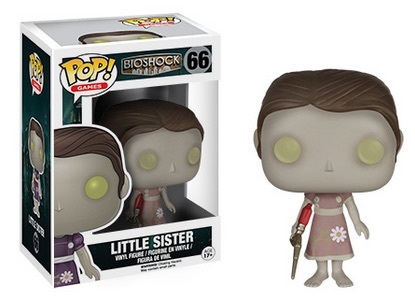 A regular feature in each of the BioShock games, the seemingly odd pairing of Little Sister and Big Daddy are the final options. 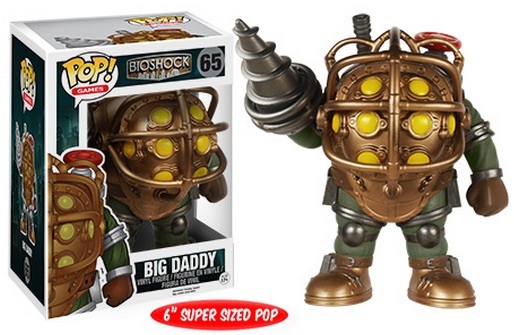 Fittingly, the Big Daddy figure is a 6" Super Sized Pop. 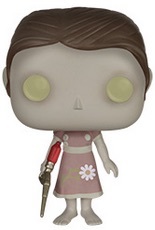 2015 Funko Pop BioShock vinyl figures are part of the Pop! Games line and the regular figures measure approximately 3-3/4" tall, but Little Sister is noticeably smaller. Funko Pop Games Bioshock Big Daddy #65 Vaulted rare! 6"
Click on the links to shop for figures on eBay.